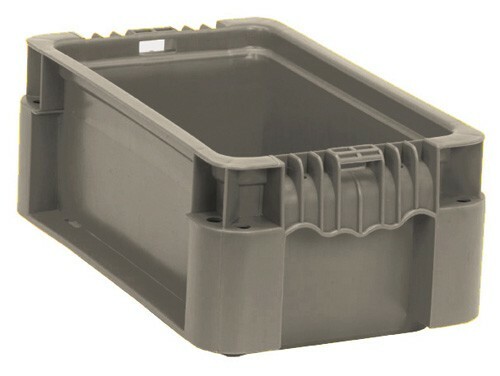 12"L x 7-1/2"W x 5"H Heavy-duty, straight wall plastic containers maximize your space when used for shipping, storage or work-in progress. 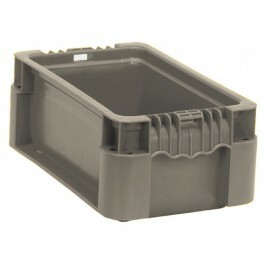 Greater strength and durability provided by reinforced corners allowing this strong container to hold the heaviest of parts! 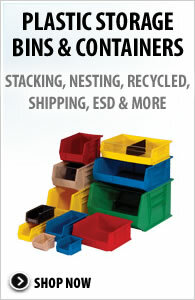 Containers are injection molded from high-density polyethylene. Straight wall design allows for modular stacking of all sizes on standard pallet. 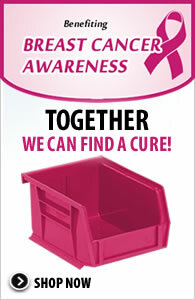 Hand grips on two sides make the container easy to handle and carry. Up to 150 lb. stack capacity. Manufactured in the USA. Available in Gray. 12" x 7-1/2" x 5"
9-3/4" x 5-1/2" x 5"